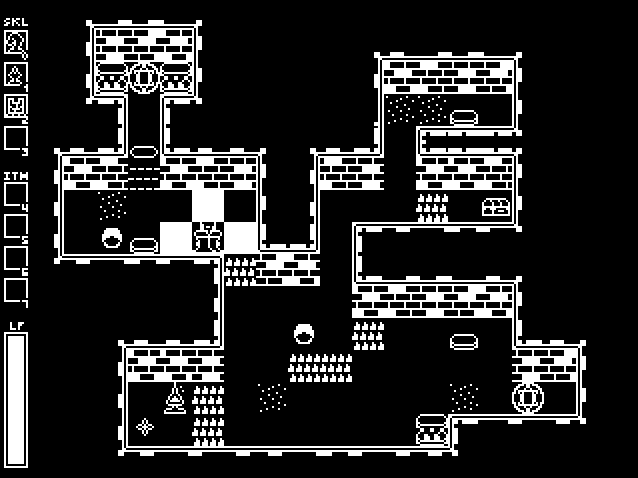 A stylish 1bit 16x16 dungeon tileset! Arranged for RPG Maker 2003, but can be used on any engine. CC BY-SA 4.0: Please credit Donut.